An amazing looking insect from Florida and Cuba. They have a striking green colouration and perfectly mimic the foliage around them. If in danger the Katydids are able to jump very high and quite far to enable them to get out of danger. 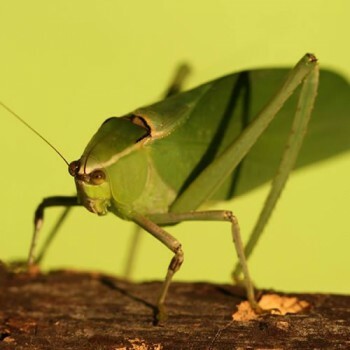 Also known as the bush cricket the Katydid is one of the fastest growing insects and has one of the most characterful faces in the insect world.